August in Texas means Marching Band. Sure, there's some football stuff going on, too, I guess, but compared with flags and tuba players and drum majors kicking up their heels, football is just the side show. And you can't have a good Marching Band without Summer Band Camp. What's Band Camp like, you ask? Sweat. Heat and sweat. 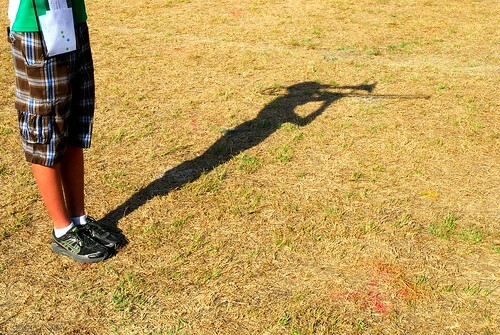 Heat, sweat, and hoping there's enough ice and water to keep band members from passing out on the practice field. 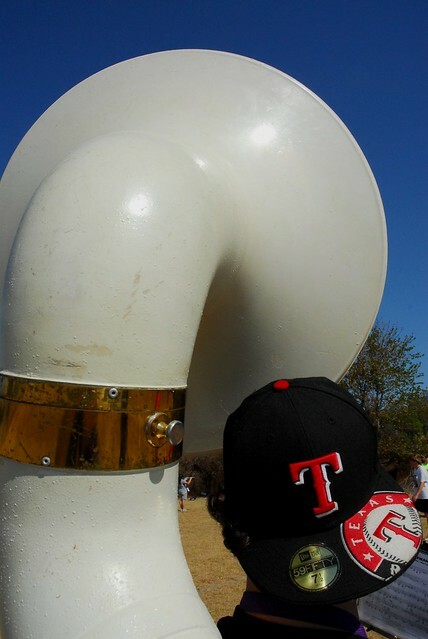 Have you ever held a sousaphone? It's heavy. Even the fiberglass ones. And then when it's showtime and the silver monsters come out, you feel like you have a car perched on your shoulder. And they expect you to play music, march in step, and do it with style? 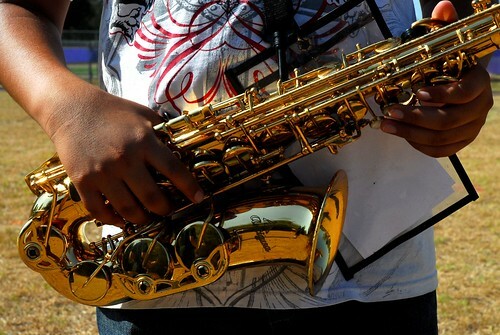 Saxophones look and sound so cool. That's why a lot of beginners want to play them. But look at all those buttons, and imagine yourself marching on a field, trying to make perfect formations while playing each note correctly -- and at the same time ignoring the sweat that's dripping off your nose. Playing saxophone ain't for the timid. And then there are the trombone players with their never-stopping slides going in and out, in and out. Not only does the rest of the band have to get to their correct spots at the correct time while playing the correct music, but they have to be wary of where the trombone players are. Getting hit by one is not pleasant. But of course all the world wants to be a drummer. And can you blame them? 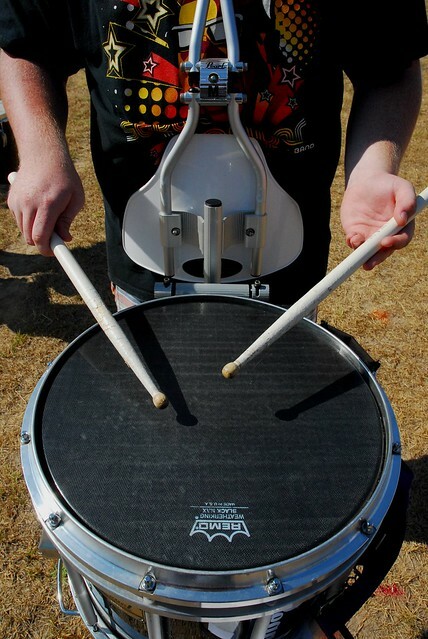 Drummers have permission to hit things, loudly, over and over again until someone screams for mercy. The drummers can't hear the screams because they're playing so loud. 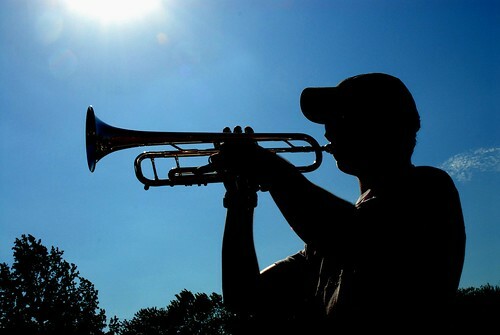 There are a lot of other players in the band: flute players, clarinetists, French horn guys and gals, baritone gurus, as well as guard members and drum majors. Put them all together and you have Marching Band -- "The Greatest Show on Earth -- and Astroturf." Glad I saw these....awesome! Nice silhouette photo.